Gunung Datuk Rembau is located in Negri Sembelan in the Seremban state of Malaysia. I had started hiking in 2015 attempting the beginners hike of Broga Hill which is ~400m high. Do you have a favourite quote that you return to again and again? What is it, and why does it move you? I love this quote because it reminds me that true beautyis in our inner nature and essence and we don’t have to seek for it anywhere. If we recognize this truth then our beauty will shine forth revealing the divinity that is hidden beneath. Now, its awesome.. to be gifted with this superpower – the ability to make myself appear and disappear at will! I would like to disappear from situations where there are arguments, anger, violence, hatred, gossip and other negative vibes. I would like to appear near my loved ones, my family, my friends, ,my community who puts their selfish interests aside and work for the welfare of society. I would also like to use this power to help the poor and those in need by doing surprise acts of kindness. I would also like to catch corrupt politicians and criminals red-handed using my superpower. I believe that our life is not like rocket science where everything has to be planned and executed to perfection. The fun is in the spontaneity. But making some small plans and bringing them to fruition gives life some meaning! 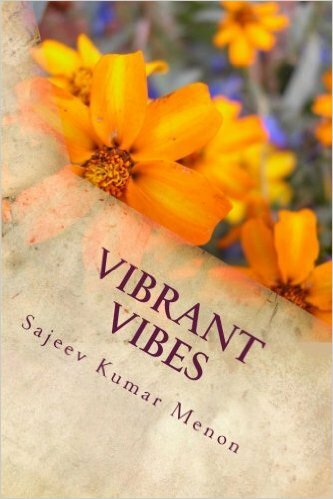 Published a collection of my poems titled ‘Vibrant Vibes’ which is available in paperback on Amazon as well as an e-book Kindle edition. To-date have sold around 60 books. Read interesting books like Jane Eyre by Charlotte Bronte, The Book Thief by Markus Zusak and Man’s Search for meaning by Viktor Frankl. I resolve to read atleast 10 books this year. Visited family every few months and made some trips with them. Read atleast 10 books this year. Do some cycling and inline skating.